Lady Gaga Runs For President of The United States?! The Hillywood Show® has joined Facinelli Films (PETER FACINELLI – FILM CREDITS INCULDE: “The Twilight Saga”, “Nurse Jackie”, “Can’t Hardly Wait”, and more) and MyISH to release PRESIDENT GAGA! From the Creators of last year’s viral video, “Lady Gaga’s – GAGAWEEN” The Hillywood Show® brings you a presidential parody to remember! 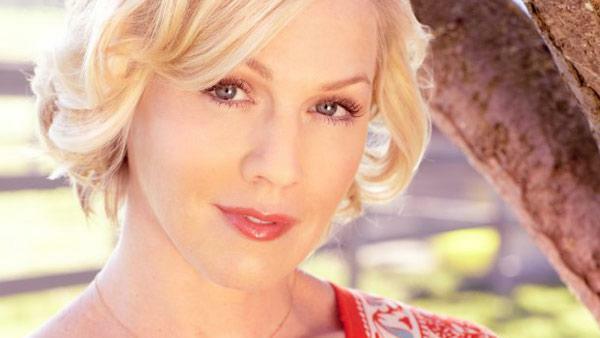 Actress Jennie Garth has started dating again following her split from Peter Facinelli earlier this year. The couple announced its divorce plans in March after 11 years of marriage, and a slimmed-down Garth recently admitted the break-up had taken its toll on her emotions, resulting in her dramatic weight loss. But the former Beverly Hills, 90210 star has found a reason to smile again after meeting photographer Noah Abrams. The pair was photographed walking hand-in-hand in Los Angeles on Tuesday and UsMagazine.com reports Garth and Abrams are dating. Garth recently told In Touch magazine that she has turned to former Beverly Hills, 90210 star Luke Perry to help her through her split, revealing he has been a great source of advice after going through a painful divorce a decade ago. Peter Facinelli filed divorce papers Wednesday, making his split from Jennie Garth official and she in turn filed her response. Facinelli citied “irreconcilable differences” as his reason for hiring a divorce attorney, and is asking for joint custody of their three children. Just one day after they announced their spilt, rumors of infidelity began to circulate, accusations the couple said was “hurtful” and untrue. Garth spoke to People magazine and admitted that divorce was not her idea. She said, “I was very resistant. I didn’t want it to happen. It took me some time to come to peace with it,” adding, “You get the rug pulled out from under you.” The couple has been married for 11 years. Jennie Garth of “Beverly Hills 90210” fame and her husband of 11 years Peter Facinelli, star of the “Twilight” series announced today they are splitting, though TMZ reports they have not filed the divorce papers. Garth and Fanicelli met in 1996 when they worked on a television movie entitle “An Unfinished Affair.” They married in 2001 and havethree children together. This is the first marriage for Peter and the second for Jennie. Men and women who marry more than once are at a greater risk of needing divorce attorneys to end their second and third marriages. While this split seems like it will be an amicable dissolution for the couple and their divorce lawyers, there are many others that do not. Hollywood divorces are frequently wrought with scandal with and contentious issues. Even when a divorce is amicable, there are many issues to settle such as child custody and division of assets. Some couples are able to settle these issues out of court. But many others require the help of a divorce attorney to come up with settlements that are agreeable to both parties. Robert Pattinson, Kristen Stewart, Taylor Lautner and the whole cast were on the red carpet as they greeted screaming fans. New Breaking Dawn interviews with Kristen Stewart, Robert Pattinson, Taylor Lautner and More! Kevin McCarthy sat down with the stars of “The Twilight Saga: Breaking Dawn Part 1” including Kristen Stewart, Robert Pattinson, Taylor Lautner, Ashley Greene, Jackson Rathbone, Peter Facinelli and more! Hey Twi-hards, ouur buds at Access Hollywood have a hilarious video of Peter Facinelli! He stopped by “Access Hollywood Live” and joked that Carlisle Cullen needs “Vampire Viagra” for “Breaking Dawn”! Plus he talked about why “Breaking Dawn” is his favorite script, experiences with fans, and much more! So he sat down to write a story about a children’s TV show actor in a rabbit outfit who hates kids and hates his job. It came together as a love story, of all things. Facinelli showed the script to friends, who gave him notes that helped him sharpen and improve it. And finally, he and co-writer Charles Thomas Daniels sold what would become the Hallmark Channel Original Movie World Premiere “Accidentally in Love” that has its debut on Saturday, February 12 (9 p.m. ET/PT, 8C). Having this sort of performing resume’ of late certainly didn’t hurt Facinelli to sell “Accidentally in Love.” Neither did the fact he’s married to “Beverly Hills, 90210” alumnus Garth, with whom he celebrates a 10th wedding anniversary on Jan. 20 (or a little more than three weeks before the movie’s premiere). But Facinelli, who bears a somewhat striking resemblance to the young Tom Cruise, didn’t really set out to craft a TV-movie – or a romantic in which his wife would play the love interest alongside an actor other than him. That, however, is how it turned out. Morris loved the script and took it to Hallmark, which had more notes and suggestions. “Accidentally in Love” stars Garth as Annie, a struggling waitress, widow and single mom to an adorable little girl named Taylor (Dannika Northcott) who is tragically losing her eyesight due to a degenerative condition. 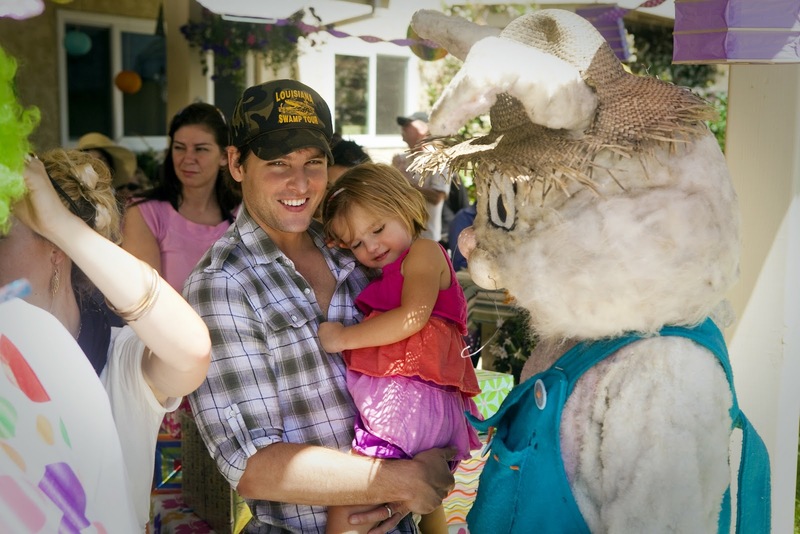 One day, Annie gets into a car accident with Eddie (Ethan Erickson), who it turns out is the actor inside the bunny suit as the beloved children’s TV icon Mulligan the Rabbit. Just like Facinelli on that fateful Easter Sunday, Eddie badly wants out of the bunny world to tackle more substantial adult work. But now Taylor has melted his heart, and her mom ain’t so bad, either. Things get a little bit tangled up, but we’re still pretty sure that love will win out in the end – particularly considering how Valentine’s Day falls just two days later. Laughs are also on the menu via the supporting performances of the great Marilu Henner (“Taxi”) and comedy legend Fred Willard. But why is Ethan Erickson standing there kissing Facinelli’s wife in the climactic scene of “Accidentally in Love,” while her real-life husband – who scripted the thing – is forced to stand on the sidelines and watch? That wasn’t the only reason for Facinelli’s deciding to take a pass on playing opposite his beloved in a love story. And how did that feel? The moral of that story: Be careful what you write, particularly if your wife is an actor. Yet rather than being discouraged by the trauma of watching his wife making out on camera, Facinelli has decided he likes this writing thing a lot. He’s penned a couple of other scripts, including one that’s sprouted into the indie feature “Loosies” in which he also executive produces and stars alongside Michael Madsen and Joe Pantoliano of “The Sopranos” fame. It’s due for release in 2011. This isn’t to say that Facinelli has any plans to bag his acting career in favor of his scribe life anytime soon. And sometimes, you’re even able to create a kiss-and-tell story for your wife. “Accidentally In Love” premieres Saturday, February 12 (9p.m. ET/PT, 8C). Does Peter have fun fun as a blonde?